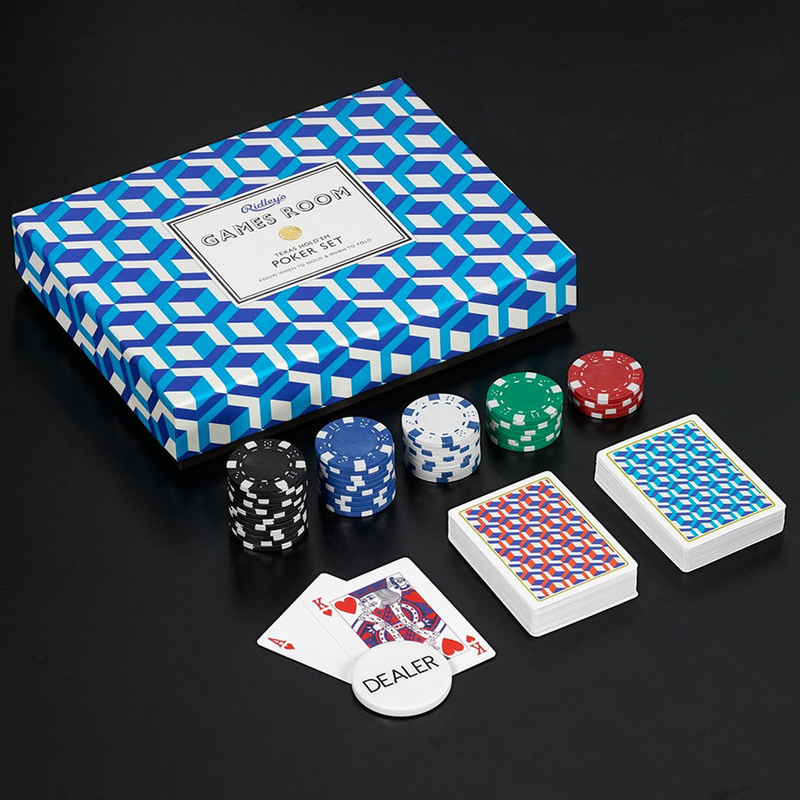 Wild & Wolf designs a beautiful Poker Set - a little gem all players will love. This set comes packaged in a gorgeous box, decorated with blue geometric patterns for a 3D optical effect. 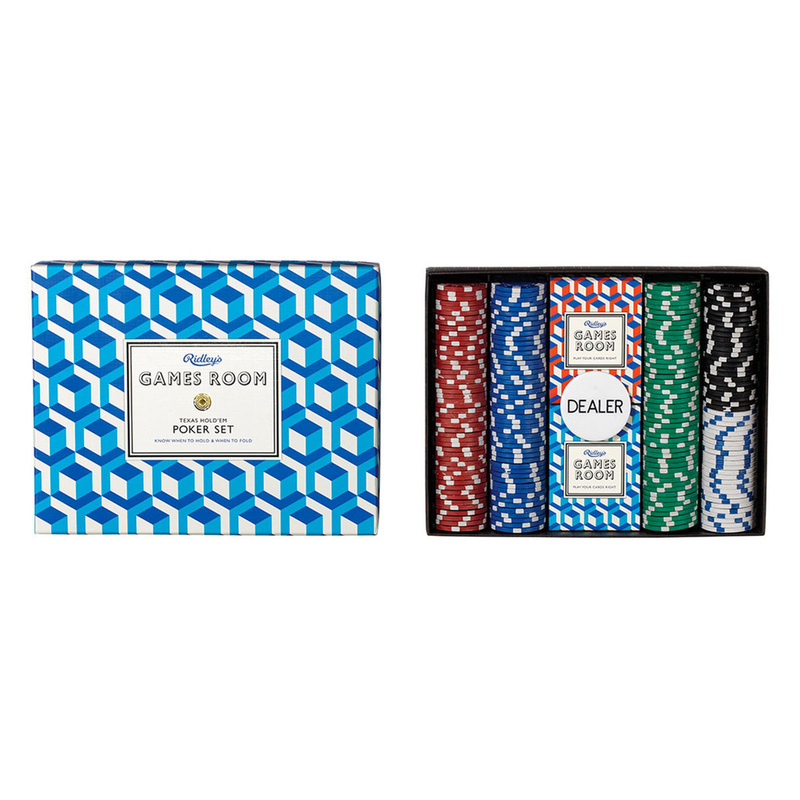 The box includes everything you need for a good poker game - and not only. Inside you will find a detailed instructions manual, a set of chips varying in colours and values, 2 packs of cards and the dealer's disc, all nicely organised in tidy compartments. This set is manufactured according to a sophisticated style and proves just perfect for a fun game with friends or family. Its modern colours are not flashy, preventing the risk of your eyes getting tired or you losing your focus. 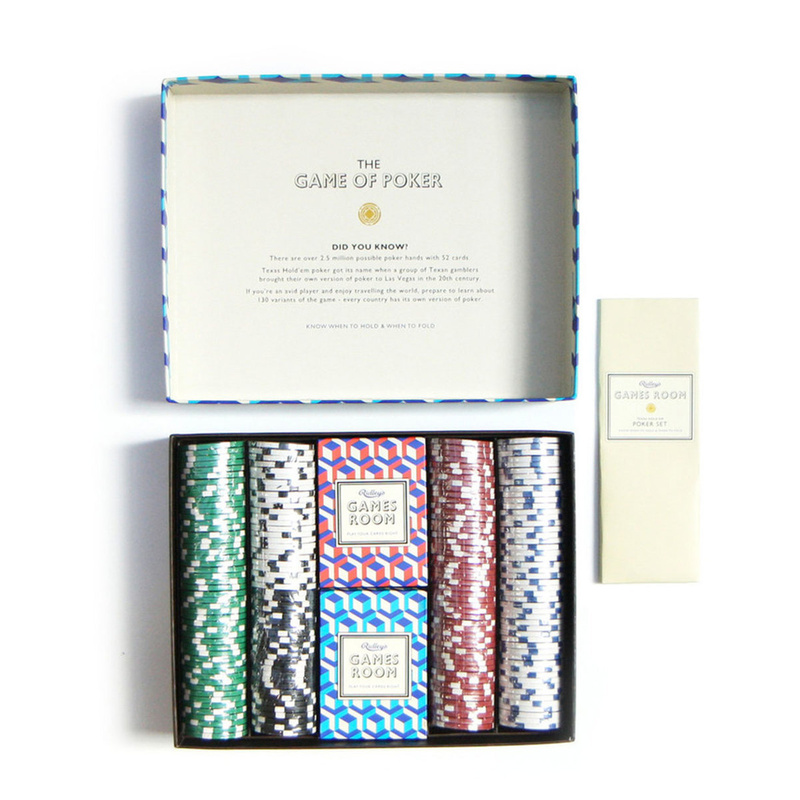 The beautiful gift box makes this poker set perfect as a gift idea - you won't even have to wrap it up! This set can also be used for games other than poker if they involve cards and chips. 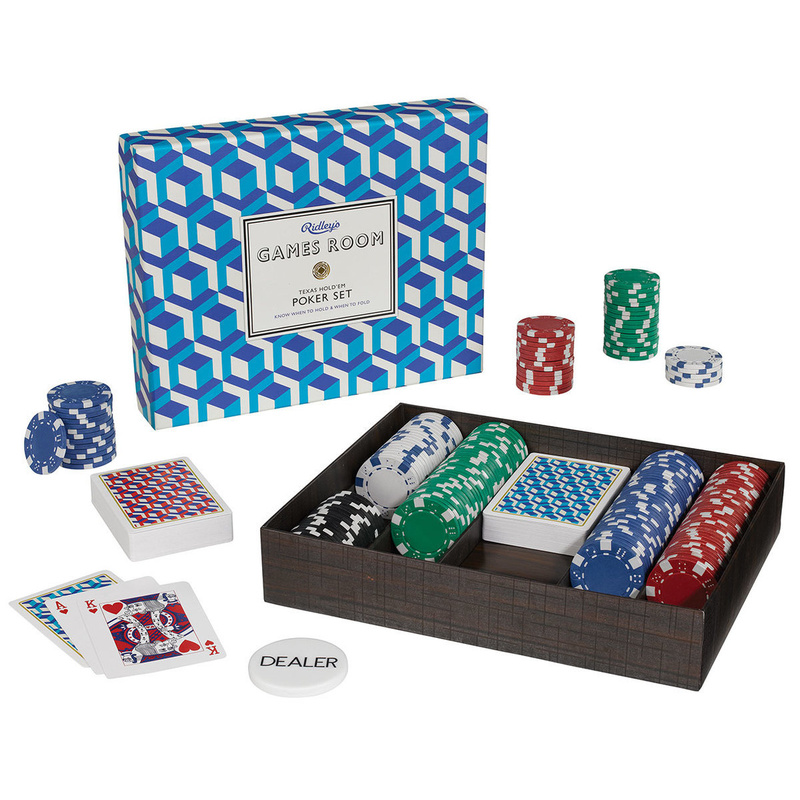 This poker set provides an excellent gift idea for friends, family and co-workers. It can also beproudly displayed on a counter or on a shelf.